I trained in the March 2015 CTT class. I can’t overstate the value of training with Max. 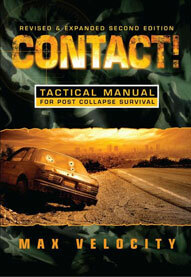 This was undoubtedly the best tactical training you can get in the private sector. I have completed several “square range” tactical training classes and there is no comparison to the realism found in the MVT training. I especially want to address those former and active military who may be dismissive of the training, thinking you won’t receive the benefit/value for the money. You couldn’t be more wrong. 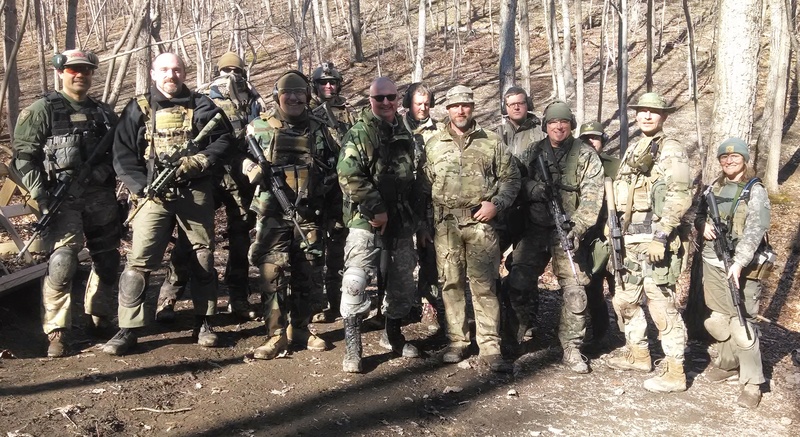 I retired from the Army after 30 years of service all in Infantry, Special Forces, and Civil Affairs units and found MVT training to be on par with most training I have received and far better than many. These are perishable skills and while you may be trained on small unit tactics and drills, I for one haven’t practiced them in many years and derived great value. MVT packs in an incredible amount of relevant and demanding training in the 3 days. The start time each day was 0700 and we trained all day long ending between 1700 and 1800 each day. There was no wasted time, Max kept us training and on point throughout. Day 1 was spent on the “square range”. The intent with this is to ensure everyone has a proper zero on their weapon(s) and to exercise muscle memory in the clearing of possible weapons stoppages that an operator can resolve. It also allowed Max an opportunity to informally evaluate each of us on our weapons handling skills and for Max to drive home the safety standards essential to the safe conduct of the next 2 days training. Day 2 was spent on; instruction/performance of “RTR” drills, (read “Contact”) and instruction/performance of 2 man “buddy team” movement/reaction to contact/break contact drills, and instruction/performance of 4 man fire team movement/reaction to contact/break contact drills. Day 3 was spent on reinforcement of skills learned during day 2 and instruction of squad movement techniques. The culminating event was a squad hasty attack involving the maneuver of 3 fire team elements. Safety was at the forefront of all training. Max ensured that everyone understood the exercise/drill and that the drill was rehearsed on the drawing board, in a no fire walk through, finally in a live fire. Safety violations were quickly identified and resolved. I at no time felt uncomfortable or that I was in an unsafe/uncontrolled situation. The training environment was exceptional. The “square range” is well laid out and professionally run. The terrain provides cover and concealment essential to the effective training of the tactics, techniques, and procedures instructed. Max utilizes magnetic/white board very effectively as a training aid in presenting and rehearsing training. Classroom training is conducted in a pavilion on days 2 and 3. This is open sided, so in cold weather months, be sure to dress appropriately. However, it provides shelter from rain/snow and dry storage of your gear. Transportation via UTV is provided to get yourself and gear from the parking lot to the training area. Max is an exceptional instructor. He is the real deal, he possesses a wealth of knowledge and practical experience in small unit tactics. Max also has a gift when it comes to working with students. He provides solid feedback to each student on things done wrong and things done right/well. He is direct and blunt, but never demeaning or disrespectful. His humor and personality are integral parts of the MVT training experience providing great entertainment as a plus to the great training. The class worked well together and quickly bonded as friends/team mates. This began on day 1 and continued throughout training. There were a few lessons learned here and a couple of recommendations to make. Ammunition: Max recommends you bring 800 rounds. I brought a 1000 and used most of it. My ammo can was empty at the end, but I did have several full magazines left. One of my classmates used all of his. I recommend you bring at least a 1000, just to be sure. Equipment: Backup Iron Sights are critical. I brought an EOTECH which I had used without fail for 10 years. I used it on day 1 to zero and was blindsided, when on day 2 it wouldn’t turn on. I didn’t zero my irons on day 1, but fortunately had done so at home before attending. Many of my classmates commented on my marksmanship with the “Irons” leading me to believe that many today rely on their optics and neglect the importance of having a zeroed back up iron sight. I would have been in bad shape without the BUIS. Parking area: Parking is fairly tight, but was especially so for our class as a combat rifle and our CTT was run concurrently. I strongly recommend that you double up from the hotel with classmates to cut down on parking problems. We had 4 in our vehicle with all our gear. Physical Fitness: Many have mentioned the significance of PT. I couldn’t agree more. The terrain is hard and will exhaust you unless you are fit. I purchased the MVT/Training Peaks 12 week beginner plan. It’s a very well-constructed plan and will advance you towards the levels required to complete the MVT training. I started the plan exactly 12 weeks out. The exercises are specific towards preparing for this training. It mixes cardio and body weight exercises along with dry and live fire weapons drills that will keep you focused on the class preparation. I had some health issues that interrupted me being able to stick with the plan, but still I had improved my fitness level significantly. Even with the interruption, I had enough residual fitness to complete the CTT. Yes, there will probably be some very fit individuals in a training class, but Max stresses to take this at your pace and to compensate by firing from kneeling instead of prone etc. He watches each student not only for weapons safety, but also to monitor your physical well-being. Lodging and Romney: I think my entire class stayed at the Kool Wink motel. It’s clean and reasonably priced, even more so if you can double up to share the cost with. I do recommend that you ask for a room in the 2 story addition. One of my class mates started with a room in the main hotel building, which is probably 100 feet from the highway. He ended up sleeping with his hearing protection on that night. He switched rooms to the other building the next day. Ben, Thanks for the well put together AAR. I attended the old 2 day CRCD class and definitely plan on attending a CTT class in the future. I look forward to the extra day w/ the rifle manipulation work.